An idle mind is the devil’s workshop. If you do not keep your kids positively busy, you risk losing them to negative activities. Many studies have proven that family involvement improves kids’ success at school. Lately, I’ve spent some time searching for online websites that would keep my young daughter busy during her summer holiday, and help her improve her math skills. Math Games is a keyword heavily sought after on the internet, and many websites claim they deliver them. A parent can either surrender to the internet era and let his/her kids play math games online. Or choose some mazes, puzzles and exercises to print them out for those youngsters to solve, colorize and most of all: enjoy! Featuring a web interface better suited for the tastes of little ones, and they describe themselves as the most popular destination for math education and fun in the world. 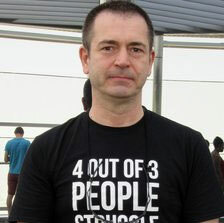 Coolmath4kids is a part of a network of websites devoted to helping those who must excel at math and finance. The team behind this website includes various B.A.s holders to undergraduates and nerds. You”ll find many things to do on that site, and Math Games is one of them. One of the simplest Math Games sites. 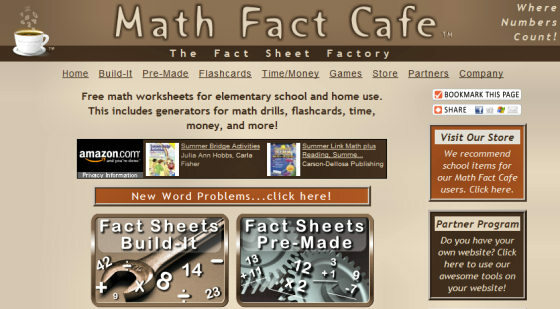 A good source for parents looking for free math worksheets, flashcards, time and money problems. The site focuses on the elementary grades, K-5 and allows visitors to access hundreds of pre-generated math worksheets, or to use its worksheet generators to create custom worksheets to meet a child’s specific needs. Children can either play online, or print out the sheets they like. Hailed as the first parenting website on the internet, aiming to help parents find practical guidance and grade-specific info about their children’s school experience. FamilyEducation.com is all about fun and family-entertaining activities, spanning various articles aimed at the different situations parents find themselves stuck at, to simple printable games for the whole family. The site requires registering before proceeding to download any material. 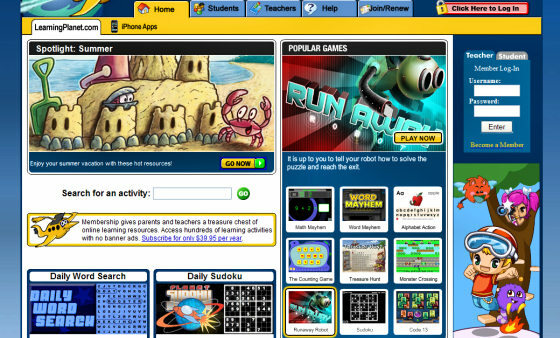 This site’s main focus is on playing online flash games, catered for elementary grades students. It offers some downloadable sheets and coloring pages for teachers and students. 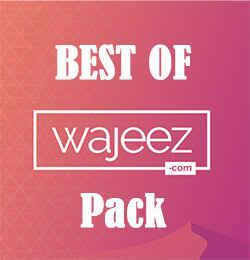 The site requires registration to access some of its features, and offers a premium banner-free membership. I found this website to be a bit slow at times. Targeted for parents, and relies on a neat and well organized yet easy to grasp interface. 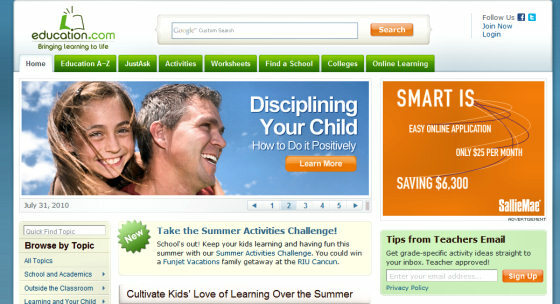 Education.com provides parents of school-aged children with free access to information, resources, activities and articles that make learning together more fun for everyone. Frustrated parents will find useful informative articles to help them tackle the problems of parenting. Many colorful worksheets are available for downloading. 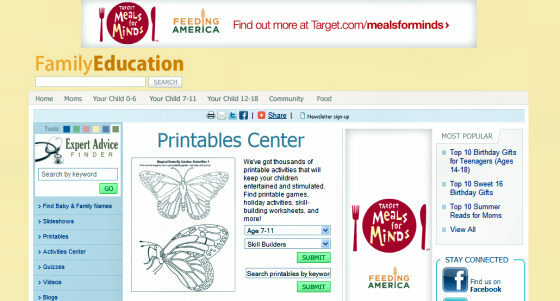 You can browse by grade or topic to find the perfect printable worksheet.